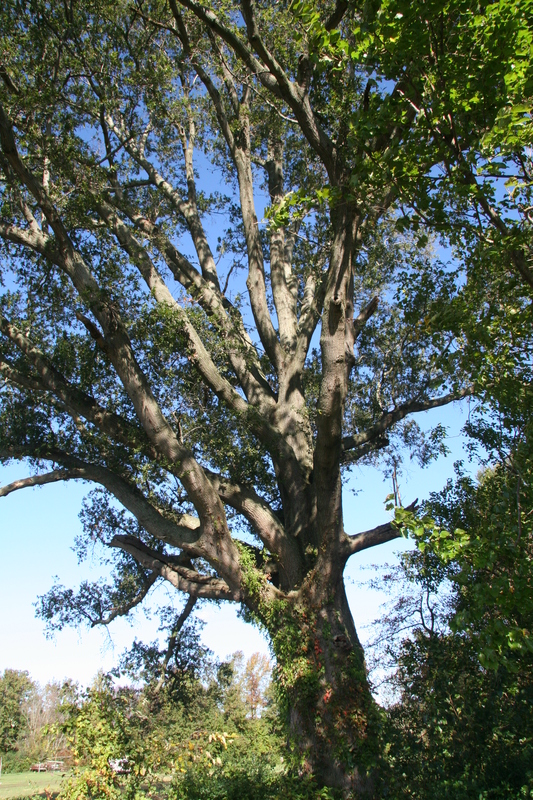 Willow oak is so named because of its willow-like deciduous leaves. High-quality trees tend to be found on bottomland soils where they can grow from 80 to 100 feet tall. Willow oak can be almost evergreen in the southernmost portion of its range, but not in Delaware. Its trunk is often short and covered with blackish, deeply furrowed bark. It is a good choice as an ornamental shade tree. Willow oak has narrow, smooth-edged leaves tipped with bristle points that are usually 2 to 5 inches long. Its round acorns are small in size with a thin, flat cup.